Think outside the box, that’s exactly what we did when we decided to make a CleverShade that could be wall mounted. Perfect for covering a patio area that doesn’t have the space to install an umbrella or (like we’ve done in the pictures on the right) keep your clothesline dry when there’s pesky showers hanging around. There’s any number of applications for the wall mounted CleverShade and while it isn’t quite The Shade That Moves With You, it certainly is the shade that fits into the nooks and crannies. 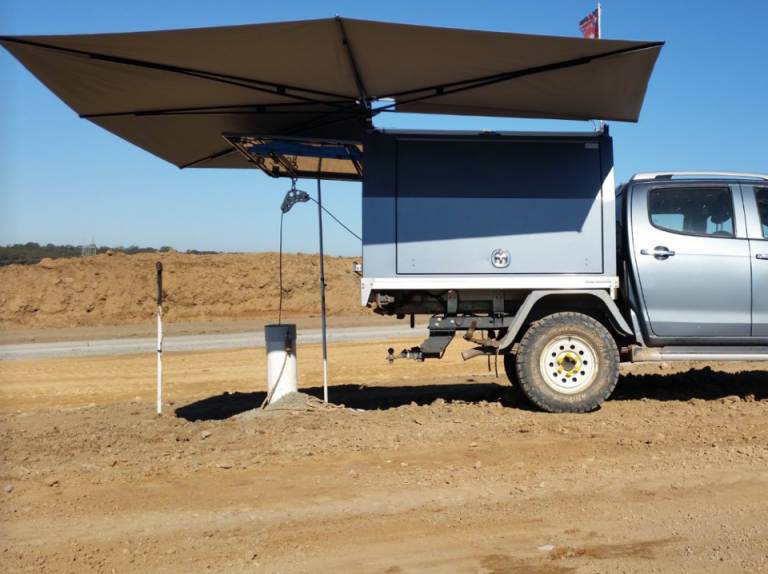 If you have an area that requires some different thinking to cover, contact us today and we can get you shaded in no time! 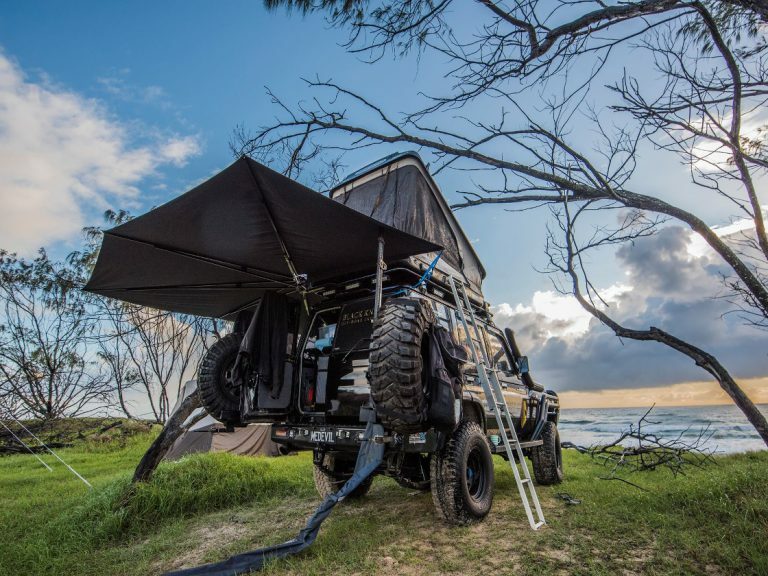 The CleverShade vehicle awning is like nothing you have ever seen before. 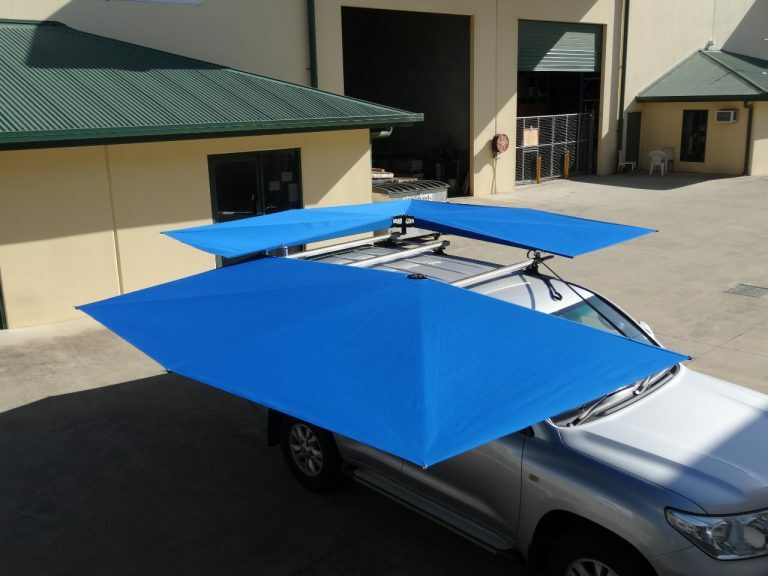 Using our patented design, this truly clever shade solution is so simple. 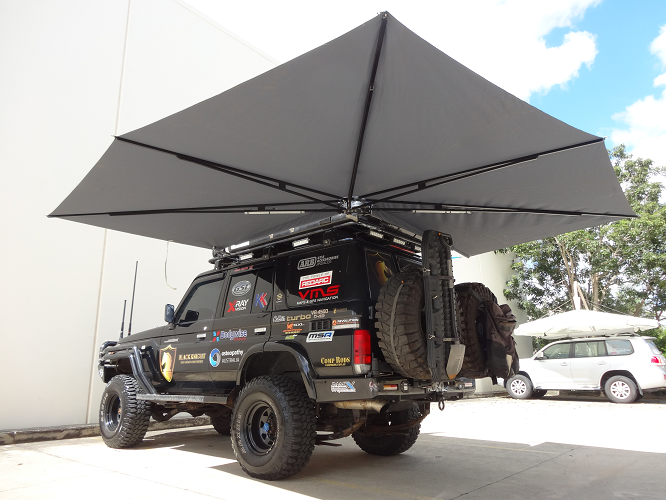 The CleverShade slides into the roof rack mount and then fans out to offer ultimate shade protection. No more coming home from trips to the beach or camping holidays with so much sunburn you look more lobster than human. 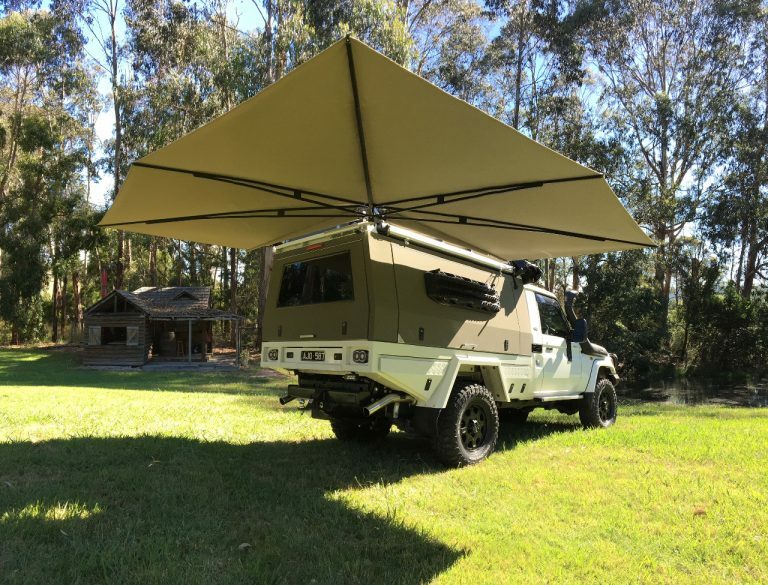 The CleverShade really is the shade that moves with you. Contact us to get the shade you know you deserve. 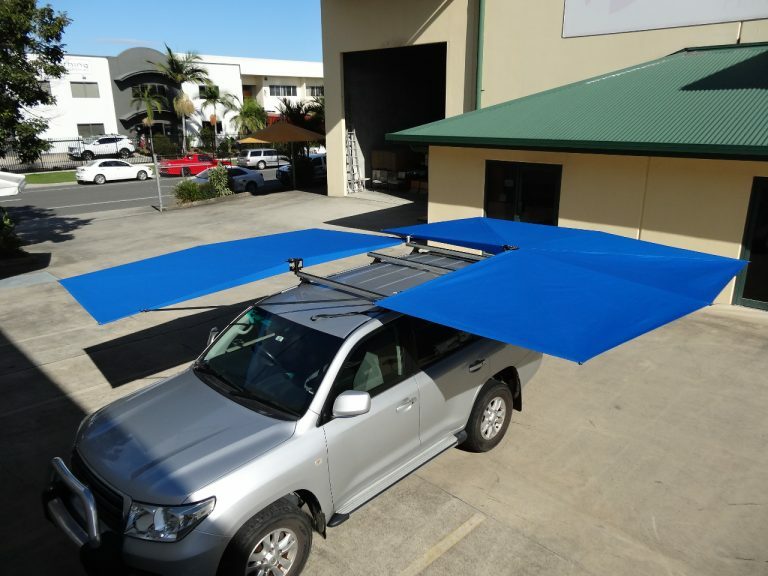 Because if you need shade, we’ve got the solution. You can also visit the dedicated CleverShade website!